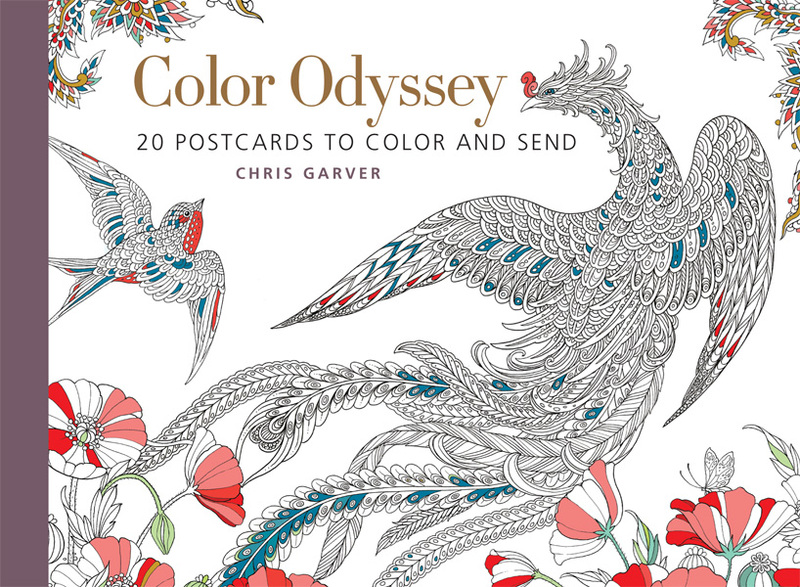 This follow-up to Chris Garver's richly illustrated adult coloring book, Color Odyssey, offers a bound set of 20 exquisite postcards featuring a curated collection of images from the book. Each postcard is printed in black and white and embellished with gold foil on easy-to-color stock, allowing users to add their own creative flair to the cards before mailing them out. The illustrations have been specifically selected to work in this smaller format. And the cards are easily removed from the binding for care-free sharing-or framing-of each card in the collection. This beautiful set of illustrated postcards is a perfect pick-me-up or gift for coloring enthusiasts of all ages.